How should we approach the daunting task of renewing the ideal of equality? 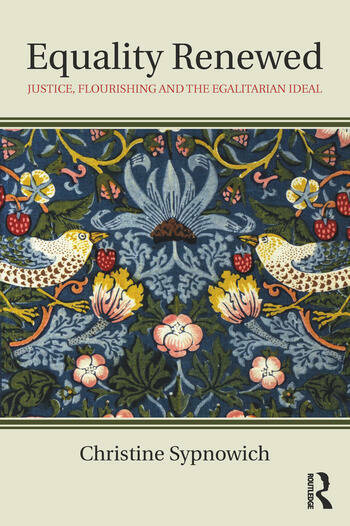 In this book, Christine Sypnowich proposes a theory of equality centred on human flourishing or wellbeing. She argues that egalitarianism should be understood as seeking to make people more equal in the constituents of a good life. Inequality is a social ill because of the damage it does to human flourishing: unequal distribution of wealth can have the effect that some people are poorly housed, badly nourished, ill-educated, unhappy or uncultured, among other things. When we seek to make people more equal our concern is not just resources or property, but how people fare under one distribution or another. Ultimately, the best answer to the question, ‘equality of what?,’ is some conception of flourishing, since whatever policies or principles we adopt, it is flourishing that we hope will be more equal as a result of our endeavours. Sypnowich calls for both retrieval and innovation. What is to be retrieved is the ideal of equality itself, which is often assumed as a background condition of theories of justice, yet at the same time, dismissed as too homogenising, abstract and rigid a criterion for political argument. We must retrieve the ideal of equality as a central political principle. In doing so, she casts doubt on the value of focussing on cultural difference, and rejects the idea of neutrality that dominates contemporary political philosophy in favour of a view of the state as enabling the betterment of its citizens. Christine Sypnowich is Professor of Philosophy at Queen’s University at Kingston, Canada. She is the author of The Concept of Socialist Law (Oxford, 1990), and editor (with David Bakhurst) of The Social Self (Sage, 1995), and The Egalitarian Conscience: Essays in Honour of G.A. Cohen (Oxford, 2006). Her work has appeared in such journals as Political Theory, Oxford Journal of Legal Studies, New Left Review and Politics and Society.